Rudy's getting ready to pawty! and he's got a pawsome giveaway planned. Woohoo! Have a fun time Rudy! I hope you have the best ever barkday on Friday and you get lots of treats and toys! How exciting! Happy Early Birthday! My birthday is on Saturday, and the Humans are planning a fun day for us :) Hope you have an awesome 4th birthday, and a great Wednesday! Sounds exciting, happy early bday! You are so cute in your birthday hat!! :) Hope you have a very special birthday Rudy! Sounds like a pawty is about to happen! Such a handsome birthday boy. Happy 4th Birthday, Rudy. 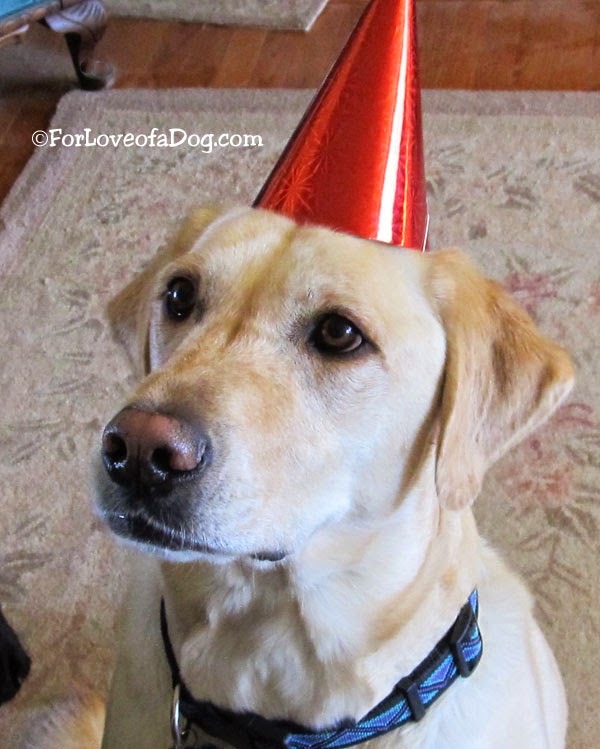 Seems like a lot of dogs have been celebrating birthdays the last few weeks! Happy almost birthday Ruby! I know you will have a great celebration! Oooo, fun. Happy almost-birthday, Rudy! Never too early to start celebrating! 4th birthday, you are still a youngster.